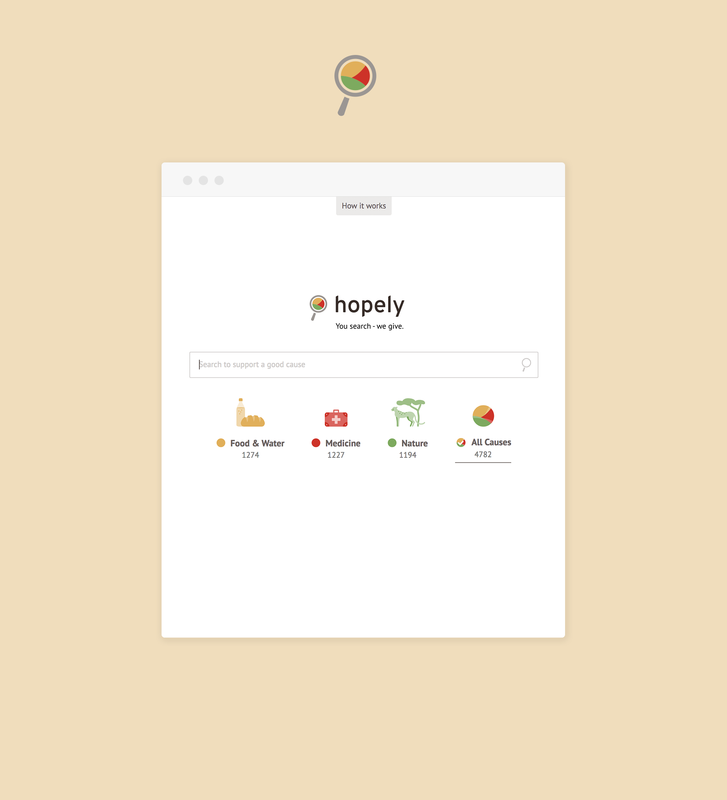 hopely presents you all the information you are looking for, while at the same time enables you to donate. By choosing a charity organization, you decide by yourself whom you want to support. The bing-based search engine works as smoothly and reliable as you are used to. But, the simple idea of combining search requests and charity, is an innovative approach to make the world better we live in.